Pictures of Cavendish seem to make a regular appearance on Suffolk calendars and postcards. 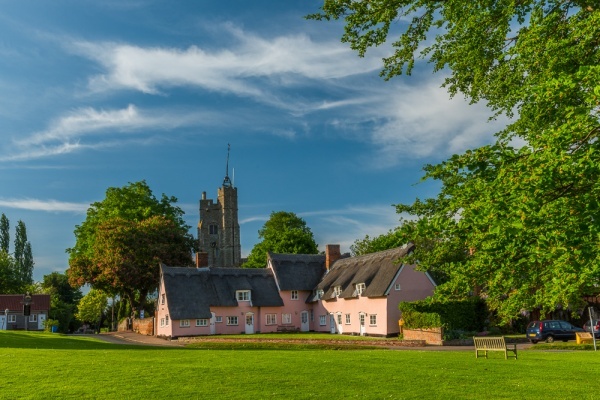 It's easy to see why, as the village is such a pretty one, with a long, wide green flanked by attractive period cottages and historic pubs, with a striking medieval church rising above it all. 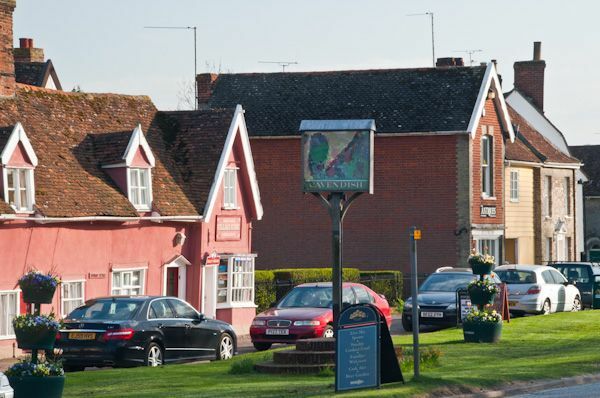 The village sits on the A1092 between Clare and Long Melford. It a very linear village, seeming to stretch out on either side of the road for several miles. 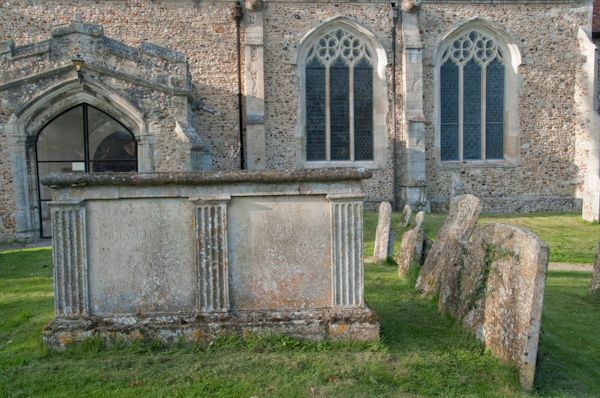 The name Cavendish refers to a Saxon by the name of Cafa, who owned an 'edisc' or meadow beside the River Stour. 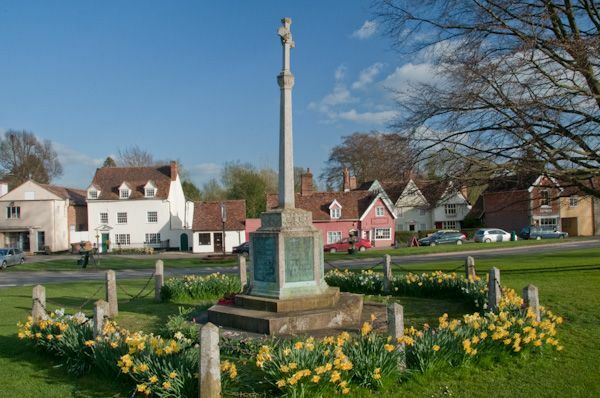 The village has a long connection with another famous family, that of the Cavendishes, Dukes of Devonshire. In 1547 William Cavendish, a native of Cavendish village, married Bess of Hardwick. The couple were the forebears of the future Dukes of Devonshire. Their son William was the 1st Earl of Devonshire, and grandfather of the 1st Duke. The village boasts a number of interesting historic buildings. 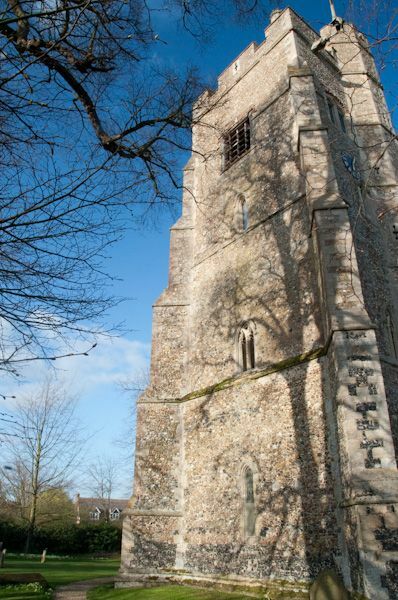 First and foremost must be the church, dedicated to St Mary, and one of the most attractive churches in an area dotted with historic churches. It dates to about 1300, though you can clearly see reused Roman bricks embedded in the walls. Even earlier is Colts Hall, a private dwelling, and much earlier still is Over Hall, a Norman house of which only a gable end remains of the original building. Nether Hall dates to the mid 14th century, while Houghton Hall, currently a health spa, dates to the 1400s. All of these are privately owned, but there is one historic house that you can enjoy - indeed, you can spend a holiday in it. 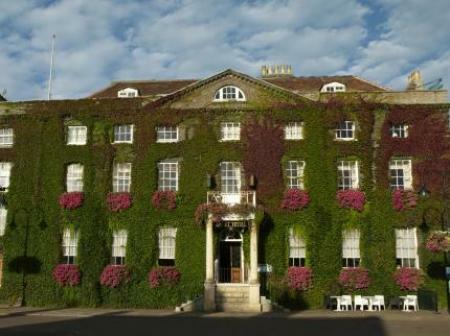 That is Cavendish Hall, a delightful Regency country house built around 1800. 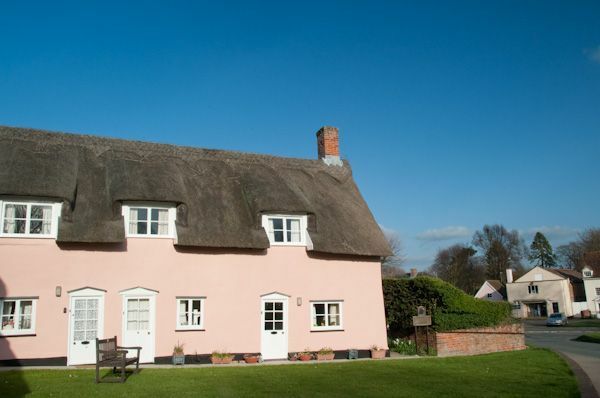 It is now owned by the Landmark Trust and available for holiday rental.